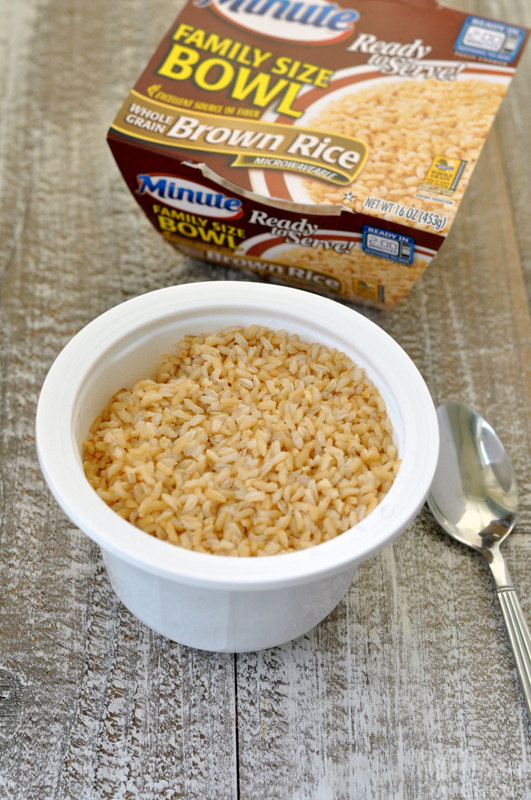 The Minute Ready to Serve Family Bowls are a new addition to the Minute Ready to Serve family of products. The larger size makes them perfect for family meals and they are ready in only 2 minutes. The Family Bowls are available in 100% Whole Grain Brown and White Rice and both Minute Family Bowls are gluten free and contain no preservatives. 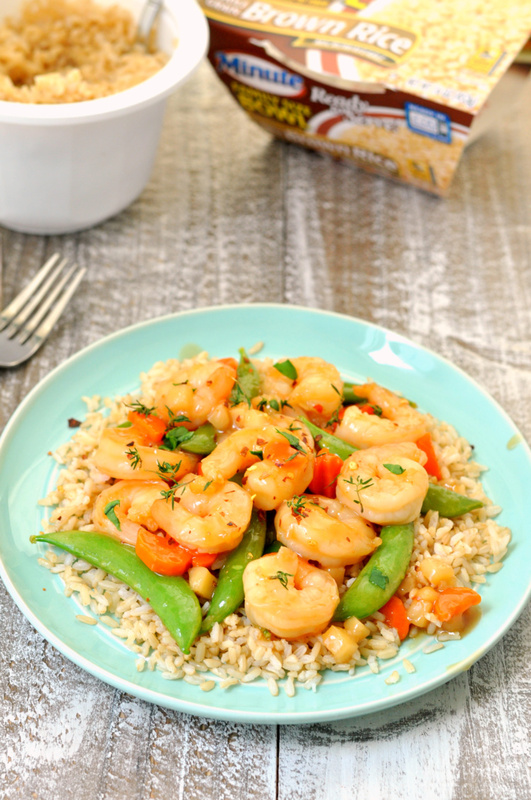 They are perfect as an easy ingredient in your favorite fried rice recipe, a no fuss side dish or as a base to a stir fry like this honey garlic shrimp version! 1. In a medium bowl, whisk together honey, soy sauce, garlic, ginger and chili paste. Reserve 1/3 cup of sauce/marinade. Add shrimp to remaining marinade and let sit for 5 minutes. 2. Heat sesame oil over medium-high heat. Add carrots and cook for 1-2 minutes. 3. 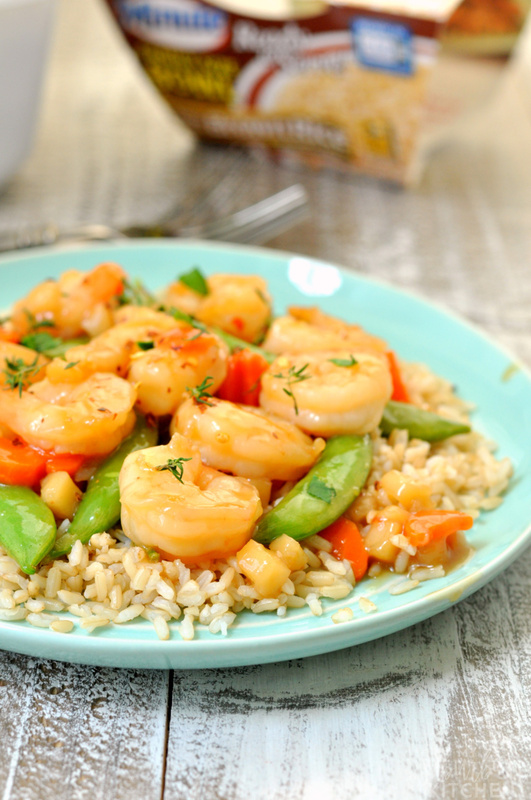 Remove shrimp from marinade and add to pan. Cook for 3-4 minutes or until shrimp start to turn opaque. Add snap peas, water chestnuts and reserved marinade. Cook for 2-3 minutes. 4. In a small bowl, whisk together water and cornstarch. Add to pan and stir. Cook for 1-2 minutes or until thickened. 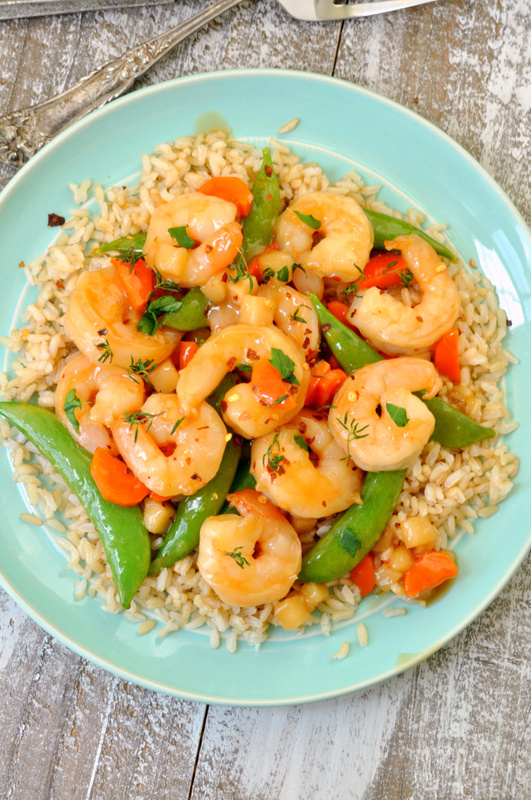 With this 15 minute recipe, you can cook a yummy dinner for your family and skip the take out menu or fast food line. 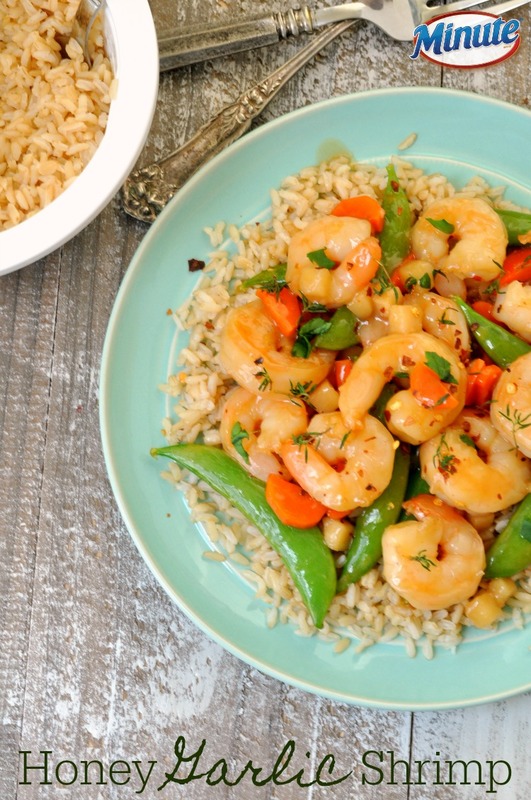 Just be sure to heat up your Minute Family Bowl of rice right after you add the cornstarch mixture to your stir fry and everything will be ready at the same time and ready to serve. What are your favorite recipes for busy nights? Do you love using easy ingredients like Minute Ready to Serve products to make dinnertime quick and delicious?